Perrier ET, Pavol MJ, Hoffman MA. J Strength Cond Res. 2011 Jul;25(7):1925-31. From an early age we've been taught that we should stretch before exercise in an effort to increase ROM and prevent injuries. While most of those pre-workout regimens were based in static stretching, we have seen more dynamic stretching being incorporated in warm-up programs. While stretching and ROM increases go hand in hand, something that hasn't been investigated is the effect of static (SS) and dynamic stretching (DS) on athletic performance during a series of countermovement jumps (CMJ). This begs the question: “Should our pre-practice and pre-game warm-up be structured differently in an effort best maximize performance?” Previous research has determined that the CMJ is an effective way to assess performance. The investigators also examined reaction time, due to its critical importance in completing athletic tasks, as well as, both hamstring and low-back flexibility. Based on previous studies, the investigators hypothesized 1) that a SS warm-up would decrease CMJ height, increase reaction time, while a DS warm-up would have improvements in CMJ and reaction time 2) that performance differences would be minimal at the end of several CMJs, suggesting that the participant would become more proficient at jumping as the trial progressed 3) that there would be no difference in hamstring flexibility between SS and DS. In this study 21 recreationally active college aged males were recruited to perform 10 CMJs after standardized warm-up under 3 different conditions (no stretch, SS, and DS). The SS regimen included 7 different stretches focusing on the lower body, each stretch was performed 2x30 seconds, while the DS regimen included 11 exercises performed at a jogging pace over an 18m distance. After completing the NS, SS, or the DS program (individually and on non-consecutive days), the subjects then performed a standardized sit-and-reach test to examine what effect the various warm-up routines would have on the participants' flexibility. Lastly, using a portable force plate and a visual stimulus the subjects performed 10 CMJs, each one minute apart. Reaction time and CMJ height was measured via GRFs generated after the onset of visual stimulus. The results demonstrated that: 1) mean CMJ height was significantly higher for the DS group when compared to NS or SS 2) Jump height was significantly lower for the later jumps (reps 8&9) than for earlier jumps (2&3) under all conditions 3) There was no effect on reaction time regardless of stretch type 4) There was a significant change in sit and reach scores for both SS and DS but no significant difference between SS and DS. These results are interesting for several reasons. It may suggest that there is no longer a place for static stretching in our athlete’s warm-up routine if DS is providing better CMJ results and comparable amounts of flexibility. It seems DS encompasses all aspects of functionality with no negative effects on reaction time. The athlete could conceivably be more prepared physiologically to perform by implementing aerobic activity and sport specific DS to increase blood flow, flexibility, and priming the body for imminent sporting activity. Although static stretching may not be optimal immediately prior to activity, it may still be needed for injury prevention. Static stretching is effective at increasing ROM over time and can decrease the risk of several musculoskeletal injuries. What are your thoughts? How is your pre-practice/pre-game flexibility program structured, and would you consider making adjustments to it based upon this study? Should we begin to move away from static stretching or do you feel that there is still a place for it prior to activity? While the rationale for the benefits of dynamic stretching vs static stretching as a warm-up activity seem quite obvious (better blood flow and improved muscle metabolism through the increased movement), I find it very interesting that no difference in flexibility was observed between the two. Due to the viscoelastic property of muscle tissue, I would assume a creep response would become a factor that would increase flexibility more in the static group. This study provides evidence to support the idea that dynamic stretching does outweigh static stretching as a warm-up/flexibility exercise in healthy active populations. However, it does bring to question whether the same can be said for injured populations. Static stretching (when done properly) can allow for a safer, controlled stretch. I'd be interested to see the difference in flexibility gains between the two techniques in an injured population and the effects of each technique on injury recurrence. All great points, John. I am in total agreement with you on the injured vs. healthy populations. As ATCs we should be able to recognize the benefits of both and when static stretch is more applicable than dynamic stretch. Especially in regards to post-injury management. Thanks for reading! As a former athlete and current coach, I never did just one or the other type of stretching. Our warm up routines always involved some type of jog, static stretch, and dynamic stretch/drills. I would be interested to see how a combination of both static and dynamic stretching would influence performance. I've never had a coach, or would tell my athletes to just stretch and then be ready to compete. Part of a warm-up is having a routine and getting both your mind and body ready for practice/competition. Also, how do these results roll over into sports who don't have a great need for anaerobic power, like distance running or biking? Would it matter whether these athletes were only doing static versus dynamic stretching? Whitney, thanks for reading. I hear where you're coming from regarding routine/preparation. As far as the effects on distance runners and the like, i think that might be something that needs to be investigated in the future. As i said earlier, i believe that there is a time and place for both static and dynamic stretching and as ATCs, PTs and coaches it's important to know what stretching format is most appropriate in what instances. On another note, other studies referenced by this one show that there can be extended performance deficits post static-stretch can extend for up to 30 minutes. At the heart of this topic is the fact there really isn't a whole lot of research out there delineating the effect of stretch on performance. I anticipate seeing more studies in the future and that they will eventually be able to answer the questions that you have. Dr Mike Marshall has written that muscles don't "stretch" since the 1970's and warned of the dangers of static stretching since then. Source: drmikemarshall.com. Dynamic "stretching" is simply warming up. That is what athletes should do assuming it is specific to the task at hand. Although most current stretching research studies recommend dynamic over static stretching, I have not seen any studies involving children or adolescents who are still growing. Does anyone know of any research done on this age group? With so many children and teens involved in sports - often on a daily basis - it would be important for coaches to not apply studies done on adults to children without any research to support this. You bring up a great point that we might not be able to apply findings among adults to children. A lot of these studies are done with college-age athletes so it's also not clear if we can apply them to older weekend warriors. Needham et al (2009): Assessed 20 elite youth soccer players and the results favored dynamic stretching (based on examining functional performance post stretching). Faigenbaum et al (2005): Assessed 60 children (~11 years of age) and the results favored dynamic exercises (based on examining functional performance post stretching). Could you clarify the statement "muscles don't 'stretch'"? Multiple weeks of stretching seems to influence musculotendinous extensibility, passive stiffness, and various other tendon properties. I would be curious to see a further clarification. Thanks for reading, Theresa. I think that you make some great points and there is definitely a place for looking at youth sports and adolescents. That's the beauty of SMR, if you have questions there are people like Jeff and Steve to give you some answers and get current literature to you so that those questions can be answered. 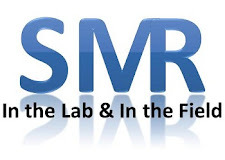 Another great thing about SMR is that there are so many items that have been identified, either through write-ups or through the comments section, that hold the potential for future research. Thanks again for reading, and please be sure to pass the word along, through social media, to your colleagues about SMR. One component of getting rid of static stretching would be how well would this change be received or adhered to by athletes. Conventional wisdom is a tough habit to break, even when there is counter-evidence. To a potentially uninformed athlete, taking away a significant portion of the warm-up routine may prove a difficult task. Justin,thank you for weighing in. I have 2 quotes that I feel directly relate to your points. I can totally understand where you are coming from. Static stretching is so ingrained into pre-particiapation warm-ups that it's basically second nature. That is where a great, not average, not good, not alright, but a GREAT clinician sets themselves apart. It should be inconsequential whether you are working with clients/athletes/patients as individuals or as teams. The people that want to be the best are going to look for everything humanly possible that they can do to gain a competitive edge. People will buy in if you know how to package it. My recommendation would be to say to your individual client "Ya know what, we're gonna try something new in warm-up today." Don't even tell them what you are going to do or why you're switching gears. Just get right into it, and join them in the process. If they ask "why" during the process of warm-up, Say "I'll tell you at the end." But be sure to keep your word. By teasing them, you've introduced a variable to keep them alert and focused. How often do we see athletes get bored with rehab/training? ALL THE TIME!!!! It's not their fault. More often than not, it's our because we tend to get locked into a routine. It's simple. It's easy, It's streamlined and the patient can fly on auto-pilot. Rehab and training sessions go longer when you introduce new info and change the routine. You also tend to get better results. From a team standpoint, present the case to your coach with the available data. You don't have to beat them over the head and say "Ya know, coach, Perrier et al conclusively determined... blah blah blah" All they are going to hear is the teacher from "Merry Christmas Charlie Brown" yapping at them. They don't wanna hear that. You could say, "Hey coach, I think that we're missing the boat on something that could positively influence our on-field performance..." Hooked? I would be! When it comes down to it, we have to be the teachers. We have to be the ones willing to change ourselves and implement the change that is necessary. DO NOT DISCOUNT YOUR ROLE. Static stretching has it's place and time, it is up to us to get the athletes and coaches to understand that. This is where my second quote comes into play, and it can be applied to all facets of sports medicine. The quote comes from none other than the venerable Jedi Master, Yoda. "You must UNLEARN what you have learned." The abstract says they did 7 stretches for a minute each, over three sessions. That's 21 minutes of stretching. I feel like that is not nearly enough time to see improvements in flexibility from stretching. Whenever I prescribe stretching regimens to athletes, they (usually) half-heartedly adhere to them for a few days, then stop because they don't see instant improvements, even though I emphasize and re-emphasize that they need to commit to stretching and make it a part of their lives. No one would lift weights for 21 minutes and then expect to see strength gains; it takes weeks to see those improvements. I think anyone who has ever been to a yoga class can see that commitment to stretching can improve flexibility and have an effect on posture, low back pain, etc. However I think the benefits are proportional to the amount of time and effort one is willing to put forth. Hi Natalie. Thank you for taking the time to read and comment. I would agree with you that 21 minutes isn't enough to elicit sizeable ROM gains, but measuring ROM wasn't the focus of this study. The premise was to determine which form of stretching would have an impact on performance as measured by the CMJ. The results suggest that a restructuring of our warm-ups and cool-downs could be warranted, especially if SS truly does have a negative performance impact, as these results indicate. Have a great day.